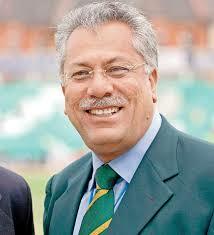 International Cricket Counsel (ICC) has named Pakistan's ex cricketer Zaheer Abbas as its president for the next year. The decision was taken in a meeting of the ICC in Barbados on Tuesday. 67 years old Zaheer filled the vacancy left vacant by by Mustafa Kamal of Bangladesh, who resigned in April after the ICC's decision over who should hand out the World Cup trophy.